United States Recycling, Inc. began operations in 1985 as an independently owned collector, processor, and marketer of recyclable material. An emphasis on quality service and long-term relationships enabled the company to grow to its current state: a full-service packer, broker, and exporter handling the entire range of recyclable materials, shipping to paper mills and other end users all across the United States, Canada, and the rest of the world. Our 50-acre facility is located in Philadelphia, PA, and is easily accessible via multiple major highways. To utilize our many years of experience and extensive knowledge of the recycling industry to develop, implement, and manage recycling programs that provide the highest quality service, markets and products to our customers. We operate our own fleet of tractors, trailers, roll-off trucks, and straight trucks to pick up your materials within 48 hours of a call to service. 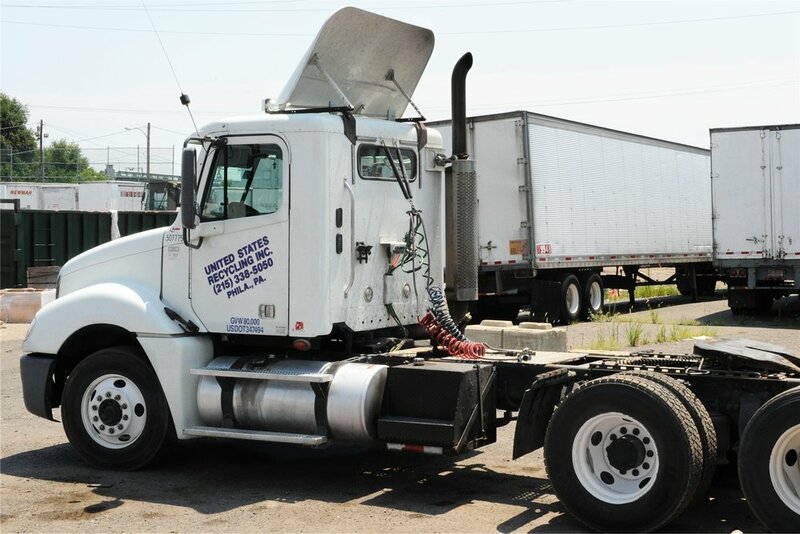 Whether you're delivering to us directly or utilizing our fleet, our facility has 2 certified scales to make sure your materials are accurately weighed. We drop trailers and roll-off containers at your loading dock as needed for collection and storage of materials. To facilitate the collection of loose materials, we provide gaylord boxes, wheeled hampers, and totes. For manufacturers and processors that demand high-quality recyclable material, look no further. We work with preferred partners worldwide to offer you the best in domestic and export grades for pickup or delivery. Need assistance with arranging a pickup? Our in-house brokerage can help with any of your freight needs. We can offer the most comprehensive and cost-efficient secure document destruction service because we share our site with Newman & Company, Inc., a paperboard mill that has been in operation for almost 90 years. Most document destruction services shred sensitive materials and then sell the resulting fibers to a paper mill for consumption. We are able to avoid the extremely high cost of mobile shredding trucks and high-volume shredding facilities by destroying documents directly in Newman's hydropulpers. Certificates of destruction are available. our sales team is available for on- and off-site consultation. let us build you a recycling program that meets your unique needs and maximizes your profits.